I was in over my head. Amazingly, I actually had graduated from charm and modeling school (I know! Who does that? ), and I'd had a few voice lessons. But my brief foray into the pageant world put me way out of my league. Just 19, I was attempting to step up the first rung on the ladder known as the Miss America Scholarship Pageant system. It was a local pageant, but in the deep South even local pageants are full throttle gala events. My competition had been groomed and buffed and photographed and tanned and manicured and trimmed down and coached and fitted for professionally selected wardrobes. They seemed to me to have an aura. I had put on my Sunday best and combed my hair. Not really. I tried my best to hang in there with the "big girls," but in the end I was no match for the "professional" pageant gals who took the top five places. And, to their credit, those gals knew how to shine, how to grab the attention of the judges. Grabbing attention is still something of a mystery to me. Throughout my little life I've entered several arenas where the goal was, unequivocally, to rise to the top of the pack, stand out, be the star. I've been involved in writer's conferences, speakers' colloquiums, publishers' conventions, women's ministry forums, and various other types of conferences where I've been encouraged to "network," make yourself known, build connections, and peddle your business card. And, regardless of the fact that in every situation I've met perfectly interesting and lovely people and engaged in encouraging and warm conversations, I've never felt like I "stood out" in the crowd. In fact, I generally catch myself feeling, for the most part, like a wall flower, or, more appropriately, like a non-descript and perfectly ordinary potted plant...the kind someone might even casually pour their cold coffee into before tossing the cup in the recycling container. I'm not asking for pity; I'm just wondering if you can relate. Have you too tried to be noticed, tried to "make your name known," tried to get the attention of the "judges," or clamored for a little attention...only to end up feeling invisible instead, and a failure at your mission to boot? The elusive author of Embracing Obscurity: Becoming Nothing in the Light of God's Everything wrote, "We're intoxicated with a desire to be known, recognized, appreciated, and respected. We crave to be a 'somebody' and do notable things, to achieve our dreams and gain the admiration of others. To be something--anything--other than nothing." He (she?) has got me pegged. You, too? This is not the side of me I talk about often and certainly not the side of me that I allow to "lead," for the most part at least. I try to be humble, exercise meekness, rejoice for others, be gracious, consider the needs of others, listen more than I speak, etc. I truly do, and I'm sure you do, too. But surely we're all friends enough to admit that Anonymous, the fitting author of Embracing Obscurity, is right in his estimation of our human nature. I decided to read Embracing Obscurity at the same time I was preparing to attend the She Speaks Conference for writers and speakers back in July. 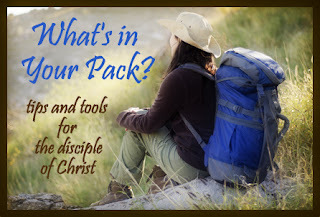 Once again, I was feeling the pressure to somehow stake my place at the top of the attending acquisition editors' and agents' short list, create a memorable impression among leaders involved in women's ministry, and make "important" connections. And yet, the appeal of that whole pageant-like ploy had faded for me long ago. And, perhaps more importantly, I knew from experience that I simply was no good at the whole game. I simply could not morph from a potted plant to a blooming orchid in a few weeks no matter how hard I tried! Instead of preparing for others to "ooh" and "ahh" over me, I was just preparing to soak up the coffee grounds graciously. And so, I picked up Embracing Obscurity. When I first heard of the book I honestly thought to myself, Finally, someone wrote a book that speaks my language! But it turns out the author has a message for all of us. 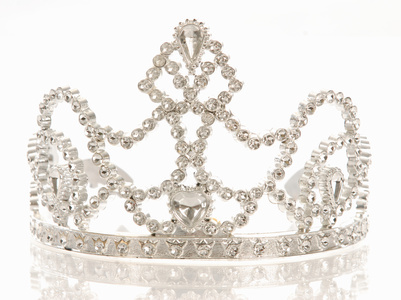 Maybe you've actually worn the crown and waved teary-eyed into the audience, snagged the book deal at a writers' conference, turned a few heads in the room, or achieved that elusive "call back." Truthfully, whether we feel like orchids or potted greenery, we've all bloomed now and again. And the author has a word for us when we step out of obscurity and into the limelight as well. I appreciated the wisdom found in Embracing Obscurity so much that I'm tempted to hold onto my copy of this compelling book. But alas I make it a policy to pass on good books. 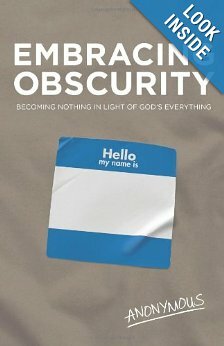 So I'm willing to send my copy of Embracing Obscurity to one lucky reader who leaves a comment, here or on the associated Facebook post. Just answer one of my questions and I'll randomly select a commenter this Friday, September 13th. Where have you struggled with feeling like a potted plant instead of a blooming orchid? Or, how has Christ confirmed for you your true significance?